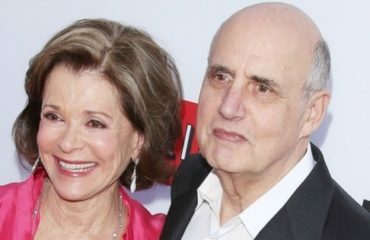 Jeffrey Tambor and Jessica Walter are pictured above during a promotional event for the upcoming season of the show "Arrested Development" on Netflix. Let's take a quick quiz: For all you aspiring whisperers out there, how would you read Jeffrey Tambor's expression? In my straw poll, the answer to that question rests entirely on what you know about Jeffrey's recent issues. He was recently fired from another show on Amazon Video called "Transparent" and upon returning to promote "Arrested Development" he and the cast have become embroiled in even more controversy. When asking people who knew nothing about Tambor's travails, they saw aloofness, grief, arrogance, and even confusion caused by senility (as though he had wandered into a photo shoot but had no idea what was going on). For those that did know the backstory, it was pain, guilt, and shame. Why the disconnect? This post's title acts a spoiler here--it's the inference of what someone knows (or think they know) about one's life superimposed over an image that is apparently demonstrating the same thoughts. If you believe Tambor is experiencing pain and guilt for how the last six months of his life has turned, then that's what you see on this face. For those that had no idea what had been going on (including people that didn't even know who he was) they were forced to draw conclusions based on nothing other than the relatively blank expression. This is why the answers are so varied. Grief, arrogance, and senility have nothing to do with one another. Internalize each of these emotions and look at the picture again. See if you can envision, one-at-a-time, how each of those emotions could fit. If you're able to convince your brain to approach the photo with a fresh eye, it shouldn't be difficult to see that all of those descriptors could fit. 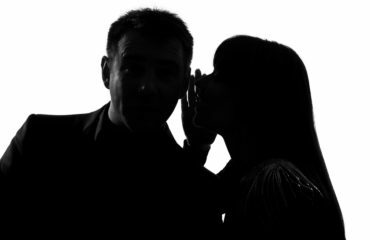 When trying to read a face for clues as to the underlying mental state, we must take care not to infer too much from what we think we know about situations that are external to the context in which the body language is being analyzed. In the case of Tambor, all we really see is the compressed-lip smile, elevated head (projecting the illusion of confidence), and the blank eyes betraying no emotion whatsoever. All of this adds up to a man that is filled with anxiety and is under a mountain of stress. Yes, we can use the backstory to help us analyze the logical extension of that anxiety and stress. While that analysis would lead us to the likelihood that he is experiencing pain, frustration, and embarrassment at how things have unfolded, there is a fine line between using that information to help us and using it as our primary tool to "fill in the blanks." When analyzing facial expressions, or ANY body language, don't allow yourself to be taken in by situational inference. Yes, use it as one tool to help decipher the meanings, but only AFTER you've done the hard work and interpreted those behaviors through a situational-neutral lens.